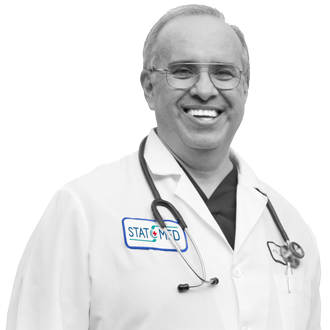 STAT MED’s founder Dr. Armando Samaniego launched the practice from his unique understanding of what a truly exemplary urgent care would look like when it’s tailored to our community. 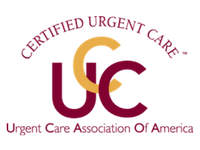 Establishing a more collaborative partnership with patients and their medical needs than ER visits usually allow. As a longstanding Lafayette resident and father of three boys, Dr. Samaniego and his wife Lissett have deep roots in the Lamorinda community. An active participant in his sons’ Boy Scout troop (all three are Eagle Scouts; the oldest is now at the Naval Academy in Annapolis), Dr. Samaniego has taken a 50-mile backpack hike every year for seven years (How’s that for dedication?). He’s also the team doctor for Campolindo High School and the Lamorinda Rugby team. After all those years on the field and in the bleachers, Dr. Samaniego has fielded all kinds of questions from his fellow parents. The most common? How to deal with sports-related strains and sprains. The answer? Ice and elevate until fully evaluated. Now, of course, Dr. Samaniego can answer questions like these — and any others — quickly and expertly, right here in town.